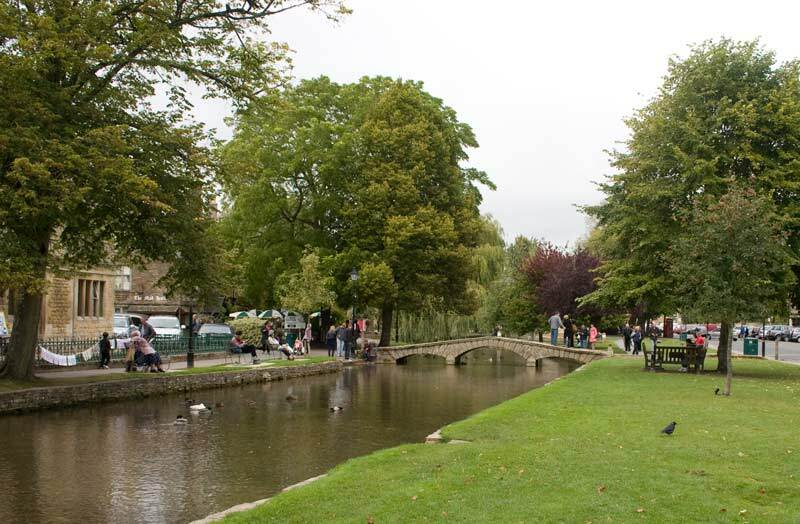 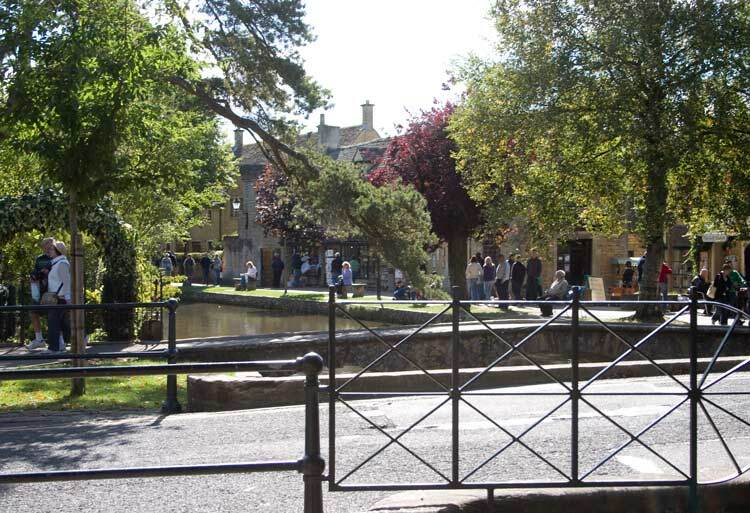 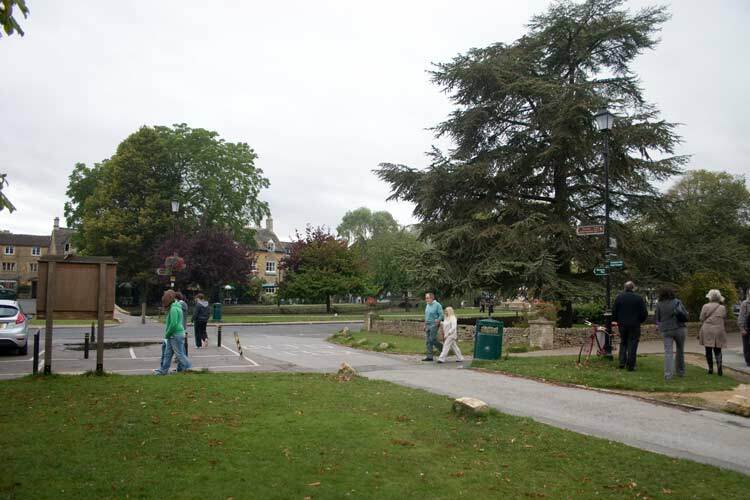 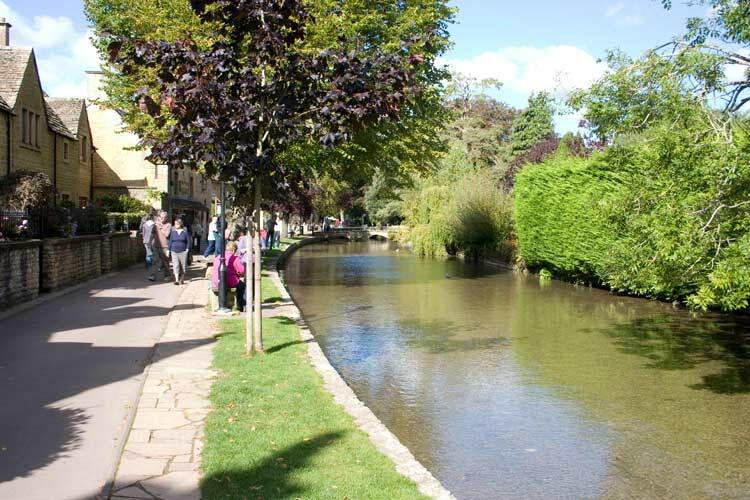 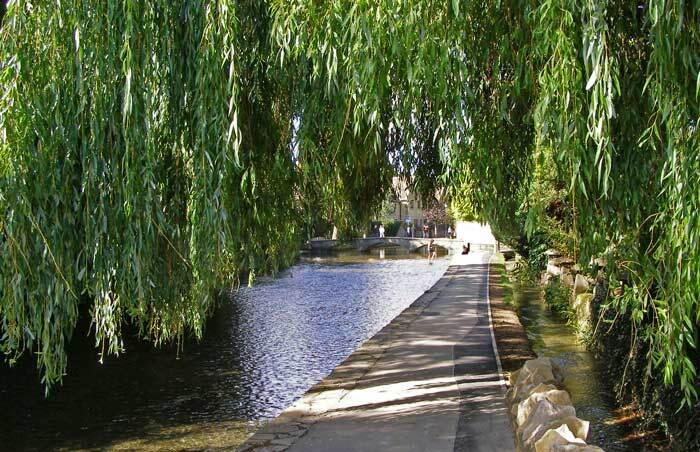 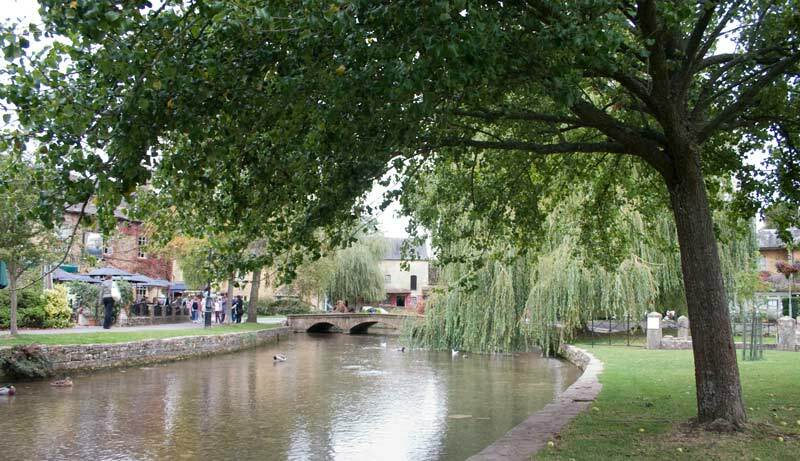 Bourton on the Water is undoubtedly one of the prettiest villages in England with the River Windrush running the the greens in its centre. 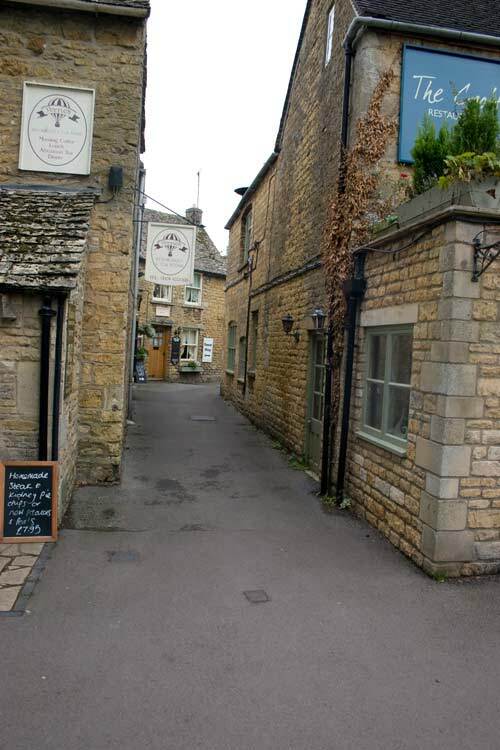 The buildings in the heart of this rather large village are all built of distinctive Cotswold stone which is a warm, attractive colour - it all adds up to one the loveliest scenes in the country. 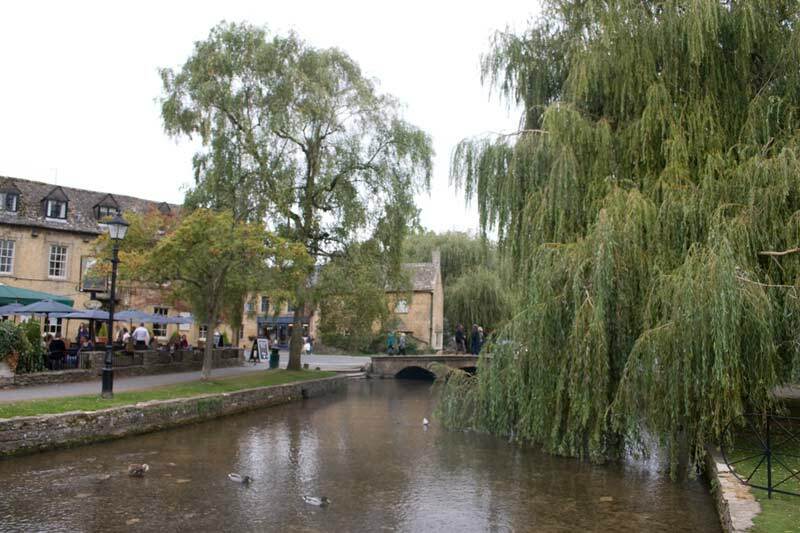 As you walk through from the main car park the view of first the Green and the the River starts to open up. 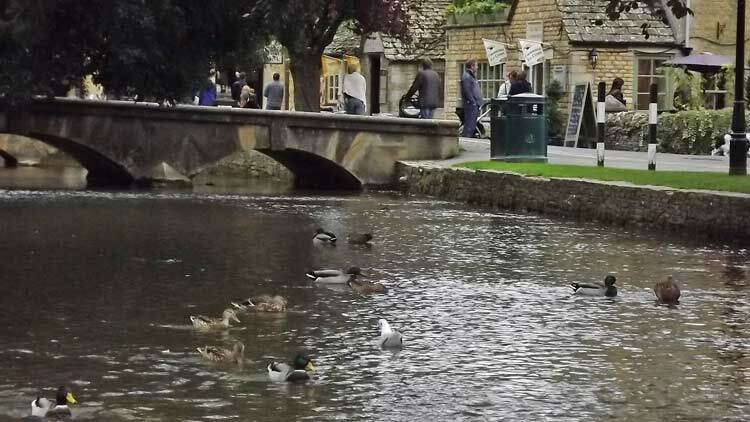 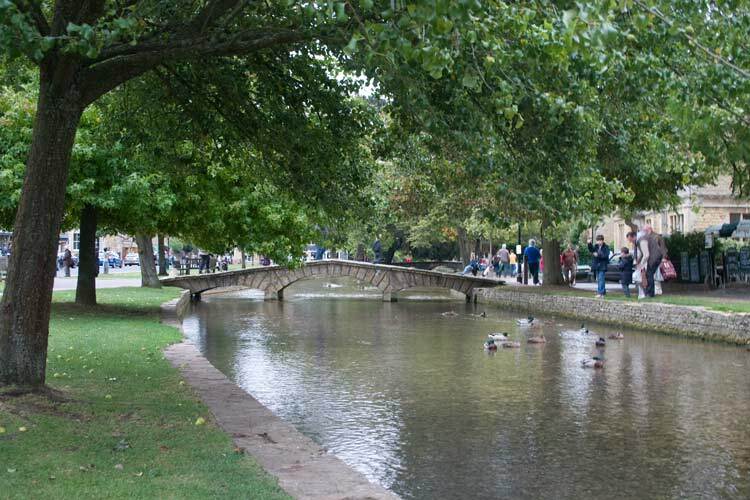 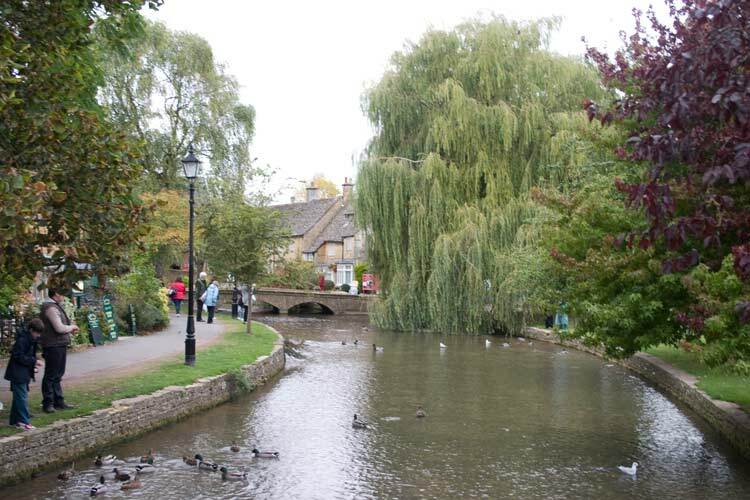 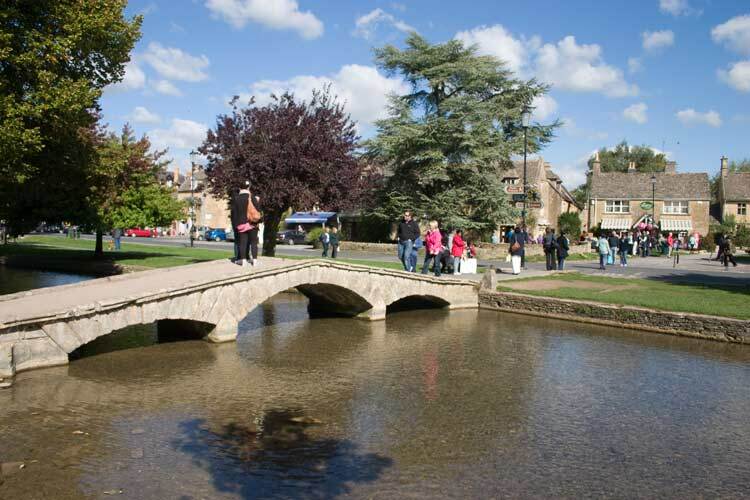 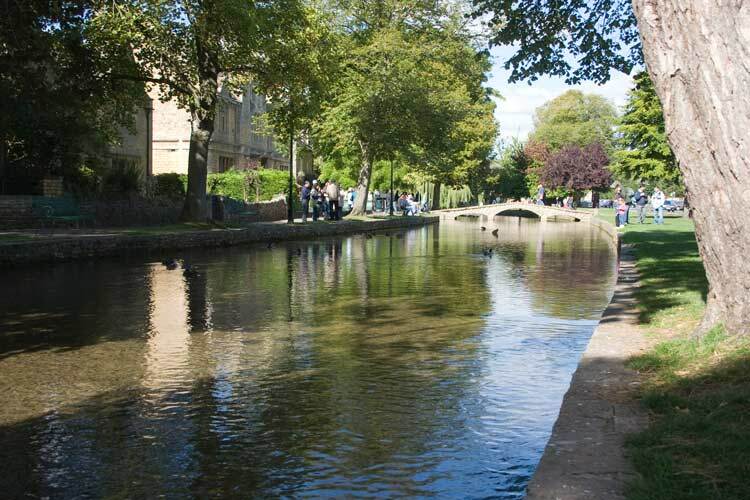 The essence of Bourton on the Water is the bridges over the River Windrush one of which is seen in this photo, with some of characteristic Cotswold stone buildings behind. 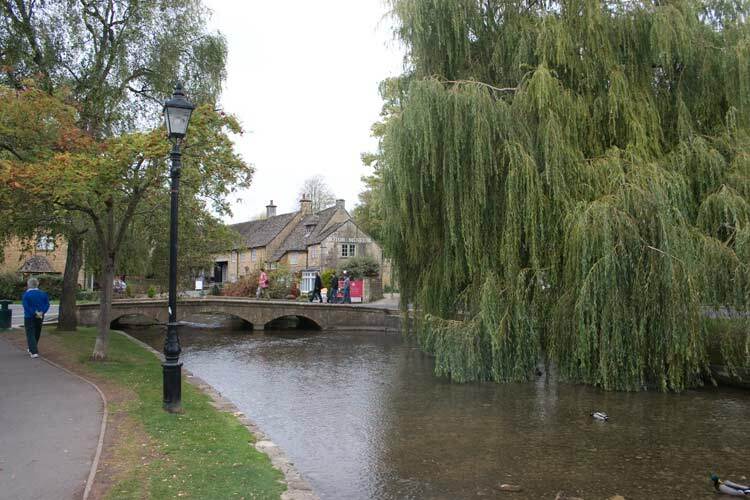 Some more views of the river and bridges. 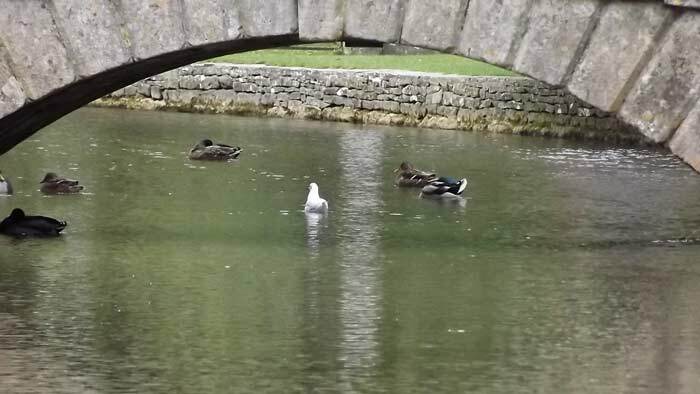 The river attracts ducks - and the odd gull this far inland! 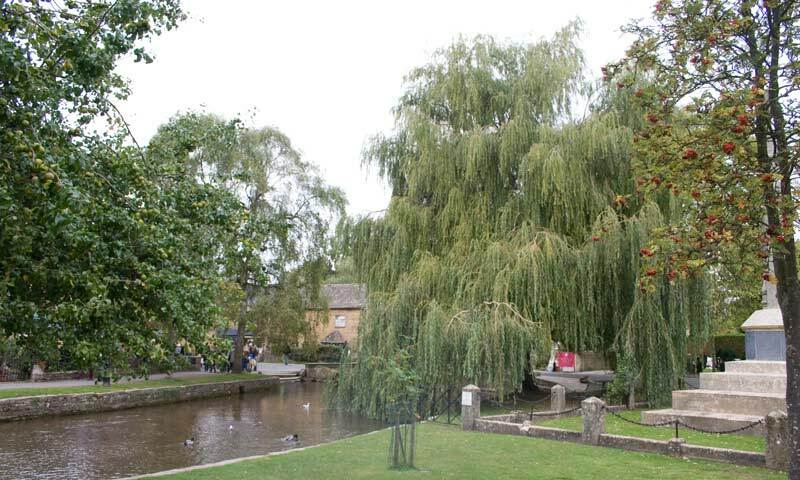 Weeping willows add to the charm of the scene. 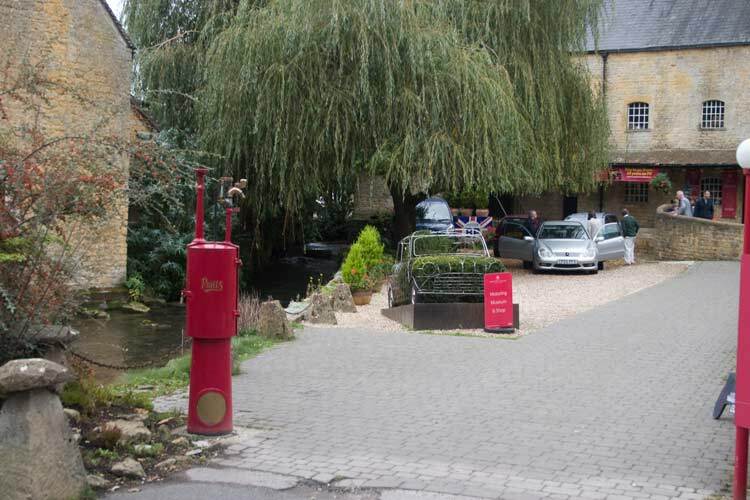 At one end of the Green there is small motor museum, almost hidden amongst the trees. 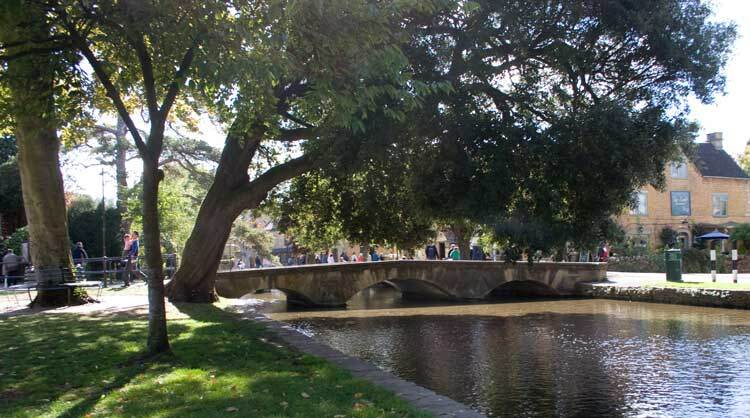 The bridges date back some 400 years to the time of Elizabeth I, they've certainly stood the test of time. 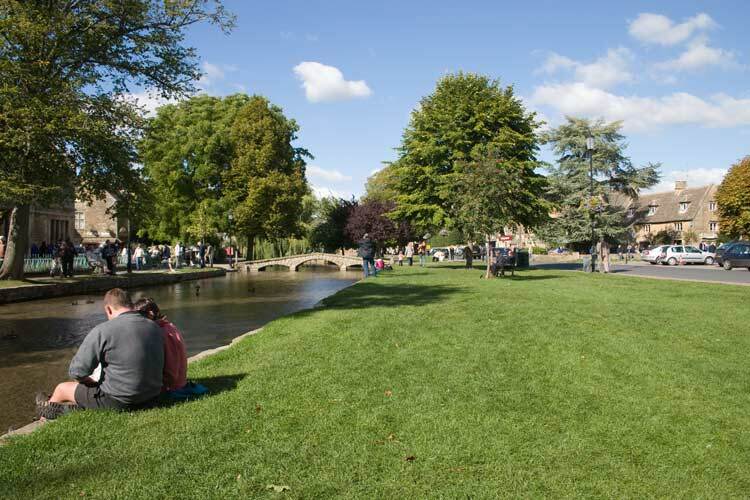 The Green by the river opens up the view and gives you somewhere to enjoy it from. 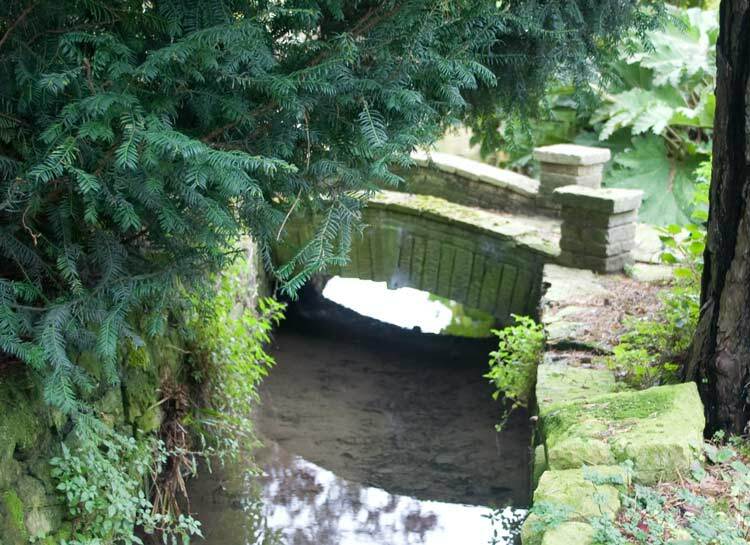 At the right of the left hand photo you can see a stream which is lower than the river - odd but it is used to good effect in this garden which has a miniature of the famous bridges over the stream. 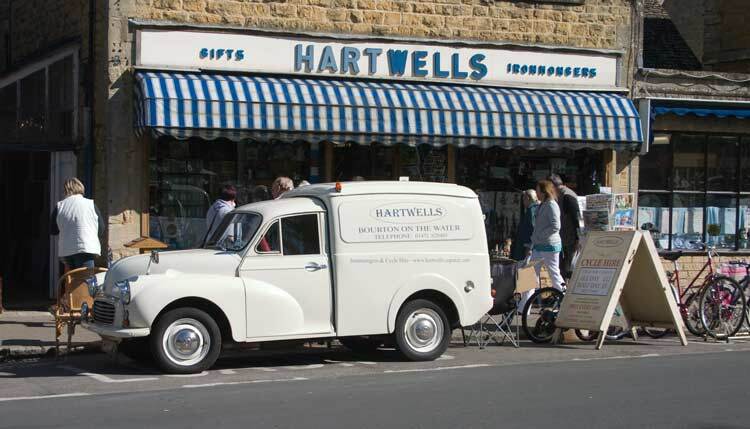 Even this local shop's delivery van, a Morris Minor, harks back to earlier times. 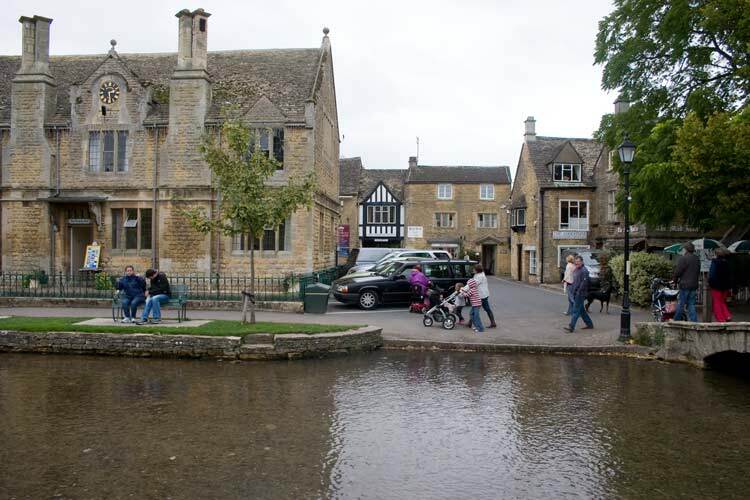 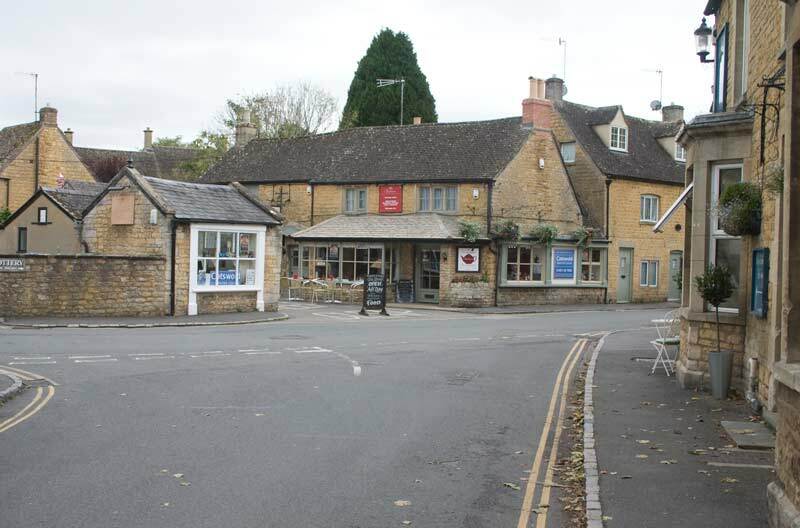 Apart from the River and Green the Cotswold stone buildings themselves are part of the charm of the village. 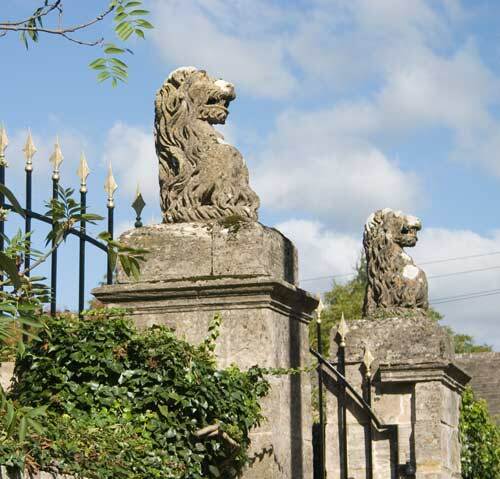 Walking back to the car park I spotted these lions on the gateposts of a house.